Friendswood is an independent city located about 22 miles southeast of Downtown Houston. The city is nestled in the area south of the Beltway, west of I-45 (Gulf Freeway) and east of Texas Highway 35 (S Main Street). 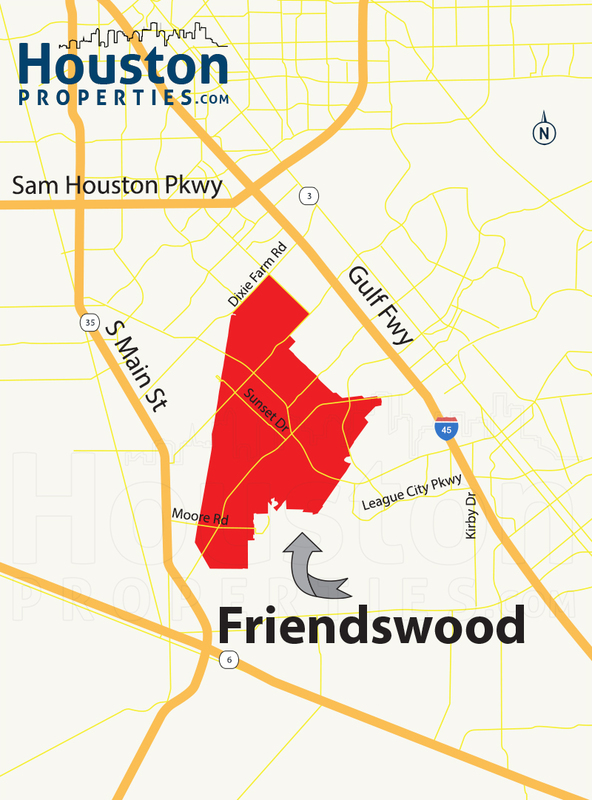 Friendswood covers a 20.9-square mile area, and is adjacent to Pearland. Founded by Quakers (Religious Society of Friends) in 1895, Friendswood was incorporated in 1960. Friendswood enjoys easy access to main highways and arteries, including I-45, Texas Highway 35, FM 528, FM 2351, and FM 518. Parks, schools, restaurants, sports venues, retail centers, and other entertainment hotspots are minutes away from Friendswood homes. Friendswood offers a wide variety of homes, some of which are located within planned communities, like The Forest. Friendswood homes south of Clear Creek are zoned to the Friendswood ISD, while those north are zoned to the Clear Creek Independent School District. Friendswood homes for sale can range from vintage ranch-style homes to new construction 2-story estates. Luxury real estate in the area can feature sprawling lots and spacious 5-bedroom homes. Prices for Friendswood homes for sale typically range from $100,000 to $1.3M. I am interested in Friendswood and would like to get more details. 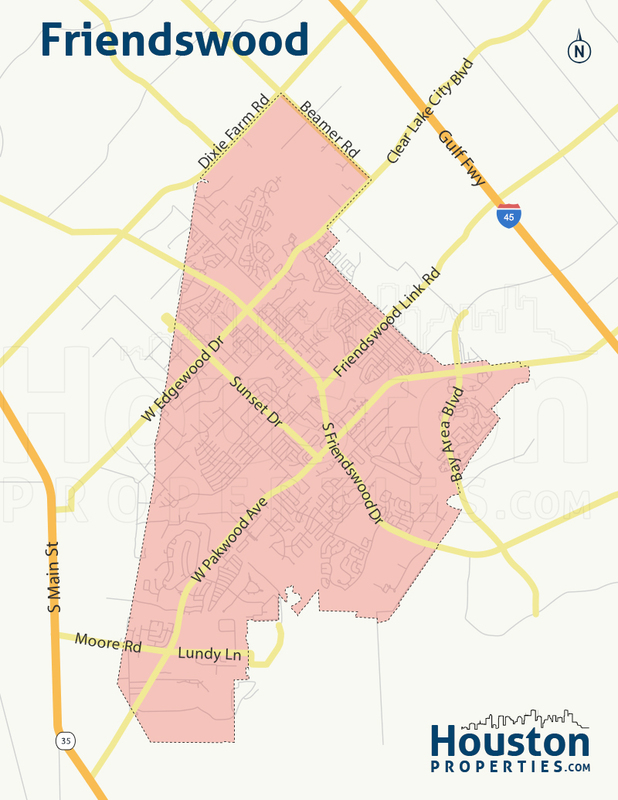 Friendswood TX is a 20.9-square mile independent city located outside Beltway 8. The city is adjacent to Pearland, nestled in the area west of I-45, east of Texas Highway 35, and south of Beltway 8. Homes in the area enjoy easy access to main roads like FM 528, FM 2351, and FM 518. Clear Creek – along with smaller creeks – wends its way through Friendswood. The city is mixed-use, and features a good number of restaurants, bars, and retail centers within its borders. Parks, schools, and outdoor activity centers are within minutes of Friendswood homes as well. Friendswood homes are zoned to some of the highly rated schools in the area. Schools from the Friendswood ISD that serve the city include Cline Elementary, Windsong Intermediate School, Bales Intermediate School, Friendswood Junior High School and Friendswood High School. Students served by the Clear Creek ISD can attend two similarly rated schools: Landolt Elementary School, and Westbrook Intermediate School. Friendswood started out as acres of lush prairie. In 1895, Quakers purchased the land from J.C. League and settled in the area. Years later, in 1960, homeowners moved to incorporate the town. Today, the city of Friendswood has a council-manager form of government. The city features mostly single-family homes. Three- to four-bedroom homes are common, though larger properties can offer more room. Friendswood homes come in different architectural styles, including traditional, Mediterranean, modern, contemporary, and ranch. Thanks to the area’s rich selection of homes, Friendswood homes come in a wide range of price points. Friendswood homes for sale start at around $100,000. Larger properties can sell for $1.3M. 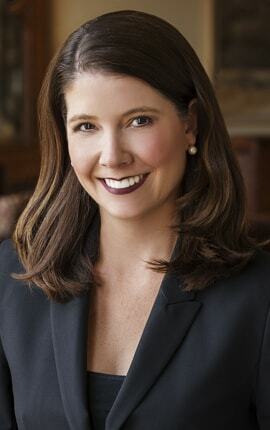 Paige and her team of top ranked Friendswood realtors work with a tremendous number of buyers and sellers within Houston.